This spacious and fashionably furnished holiday apartment is located on the first floor with a terrific view of the sea on the south of the Rab Island. In between the rocky coast. This spacious and fashionably furnished holiday apartment is located on the first floor with a terrific view of the sea on the south of the Rab Island. In between the rocky coast, there are many wonderful coves with sandy beaches. The Island of Rab is one of the sunniest places of Europe and is a perfect destination for a holiday with the entire family. We recommend that you taste Rab cake, which is a speciality of this island. This beautiful modern apartment is made from brick or stone and was recently built in 2005. 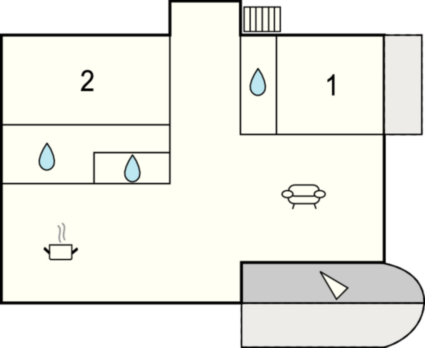 The agent has rated it as a four star property so it is a well-equipped apartment with above average furnishings. It is also great value for money. 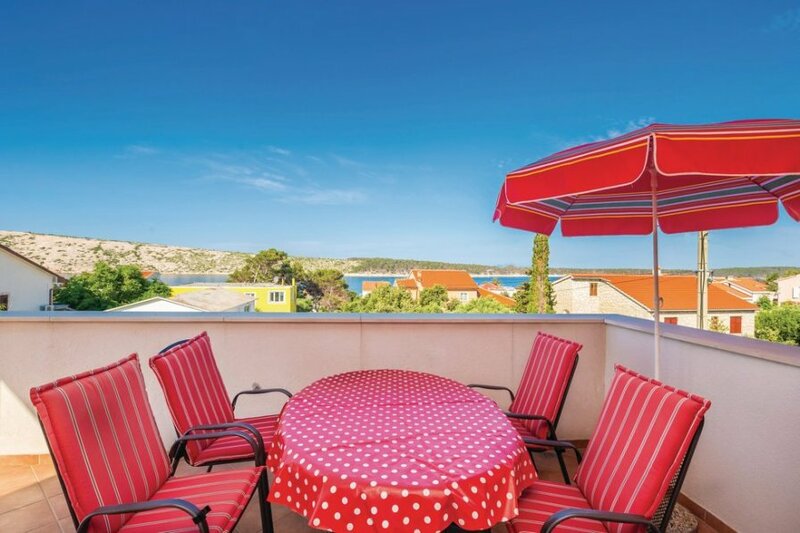 This apartment has sea view and is located in Barbat na Rabu, only 3km from Rab. It is set in a very convenient location, just 300 metres away from a rock bound coast. There's also a restaurant only 300 metres away.